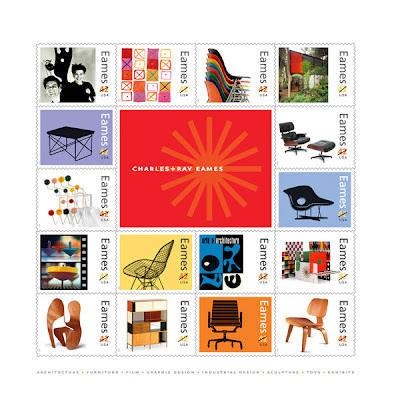 How was I not aware that the Post Office had issued Charles & Ray Eames stamps until Ms. Spinach noted it? Of course, when I finally got to my post office, they were sold out, so my stamps have been ordered online (with extra costs for postage, which makes me roll my eyes: you're the damn post office, I'm pretty sure you don't incur postage costs unless you charge yourself.) I plan to only use the Eames stamps to send nice letters to people I like, and ration them out, so as not to waste them on sending the water bill and paying parking tickets. Bamboo-print sundress, vintage; pink sandals, Seychelles. Also, white toenail polish is really easy to touch up at work if you happen to have a white-out pen nearby.